At my local railway station I recently noticed a poster from Public Transport Victoria, stating “We’ve made it to Melbourne Monopoly”. But for me the bigger question is – did the taxpayer have to pay to get there? At the Melbourne Monopoly launch event in November 2015, a specially wrapped City Circle tram was a prominent feature. According to James Young, owner and booker of much-loved Melbourne venue Cherry Bar, there could be a good reason why any music venues were left off the Melbourne edition of Monopoly. Fittingly, it has to do with money. “In June this year I was approached by a guy from Winning Moves in Sydney who was super keen to include AC/DC Lane in the Melbourne edition of Monopoly,” Young told Tone Deaf. Cherry Bar is located on AC/DC Lane in Melbourne CBD. 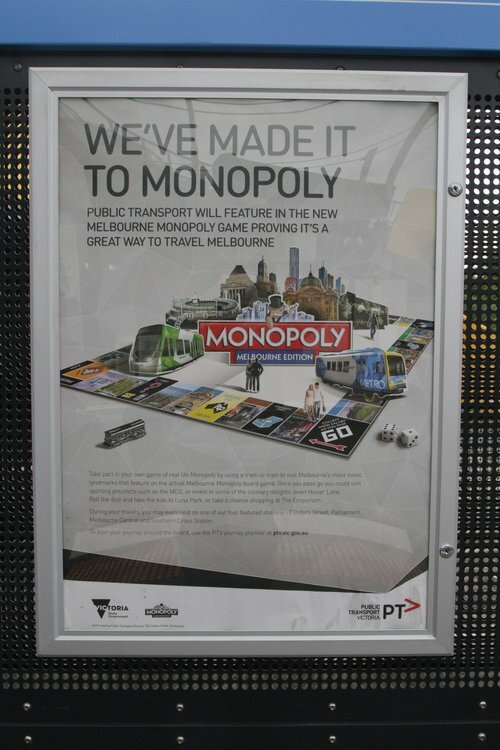 So did Public Transport Victoria make a payment to Winning Moves to appear on the Melbourne Monopoly board, or was it just a promotional tie in with the specially painted tram? I fired off a question via the PTV inquiry form to find out – and received a surprisingly honest response. I have been advised that PTV entered into a commercial partnership with Winning Moves to leverage from the Monopoly game and brand. Monopoly is an iconic game the world over and the same business model is used across the world. As part of this agreement, PTV purchased 4 travel squares which included – Flinders Street, Melbourne Central, Parliament and Southern Cross Stations. The W Class tram was also included as a game token. Hence the tram wrap as a giant token, was an ideal way to help promote this and to gain some valuable media coverage – of which has provided a significant return on investment. Yarra Trams provided the tram to wrap and PTV covered the cost of materials. 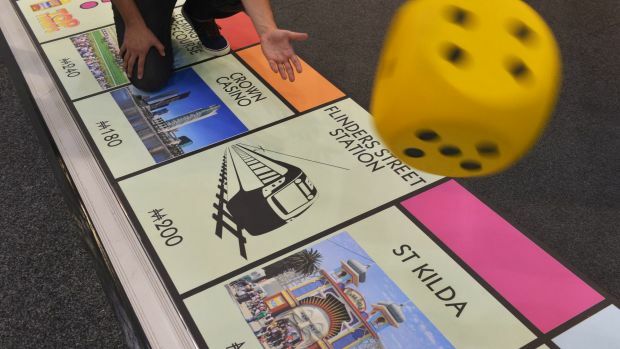 However their response leaves me asking this question – if PTV didn’t purchase the four railway station squares on the Melbourne Monopoly game board, who else would Winning Moves have sold them to? It isn’t like Sydney Trains or TransPerth could have swooped in and taken their place! 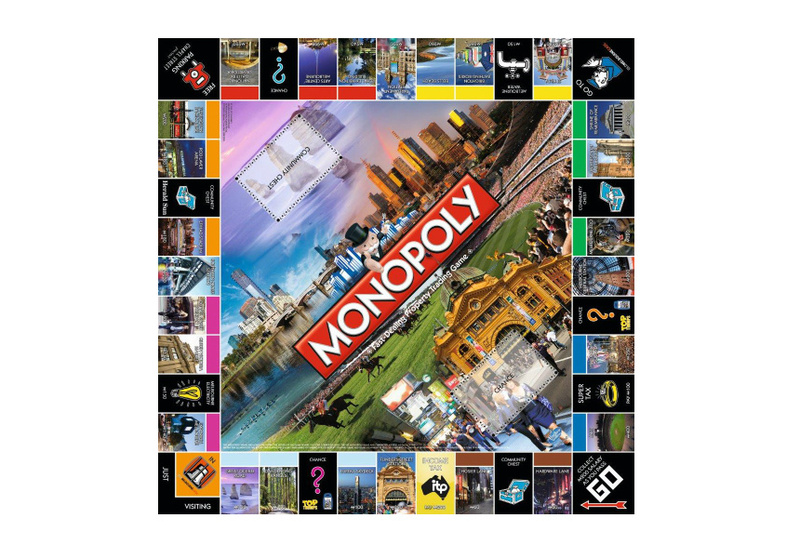 Public transport will feature in the new Melbourne Monoply game proving it’s a great way to travel Melbourne. So how does featuring on a board game prove the quality of a service? Why is Melbourne covered in gambling ads? Nice report of a non-story you have here. Newspapers think “government department pays money on catering for staff” is a story, so “government pays money to appear in board game promotion” is a step up from that. Did you mean board game? Though for Melbourne Central station they used the Shot Tower, and the Parliament station they chose the Windsor Hotel!